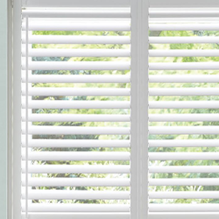 The most popular choice and can be supplied with or without mid rails. The mid rails can be central or off set to match horizontal glazing bars and provide enhanced light and privacy control. 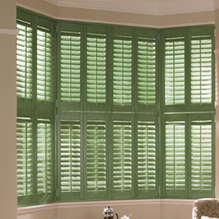 Shutters installed to a point between the top and the bottom of a window. 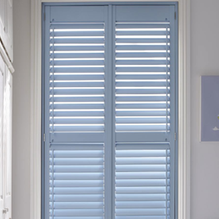 This is often halfway up but can be customized to any suitable position. Cafe style allows light to flood in over the shutters while providing complete privacy lower down. 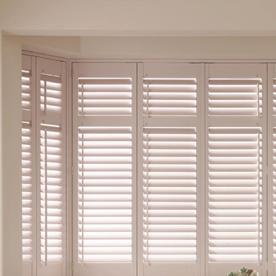 Two sets of shutters installed one on top of the other in the same frame with the split generally in line with a horizontal glazing bar on the window. Each set operates independently offering flexible control of light and privacy. 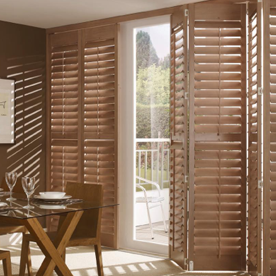 A range of options is available using tracking which is ideal for shutters on doors; French doors, room dividers or any wide expanse, where multi-folding shutters configurations are required. 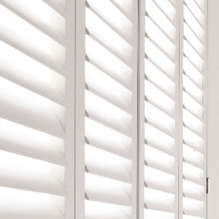 An alternative to standard shutters. 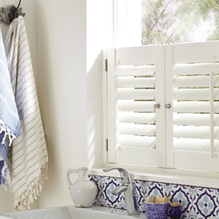 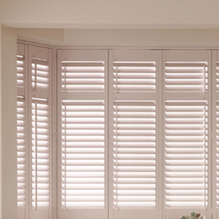 Choose from solid raised shutters that offer a near blackout and enhance insulation from noise, or solid base/louvred top shutters ideal for covering half glazed doors. 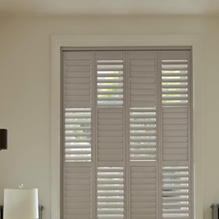 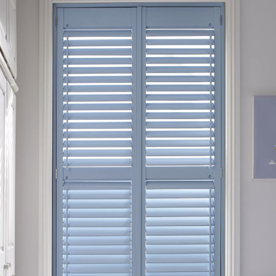 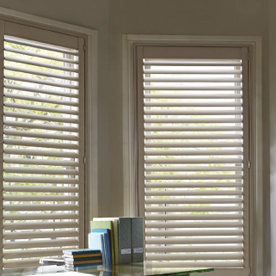 Available on selected wood types, almost any shaped window can be covered with these shutters. 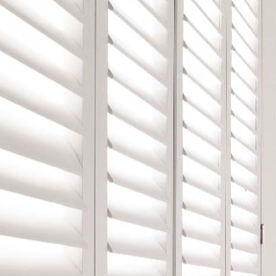 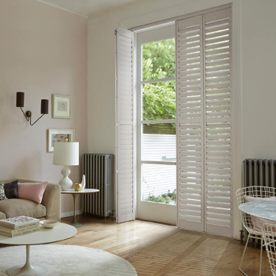 For additional information on our comprehensive range of shutter styles, book a consultation with one of our experts today.